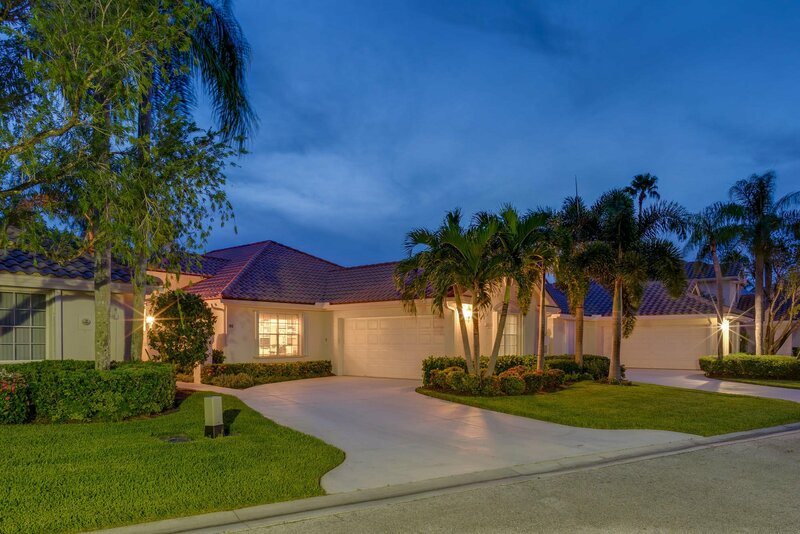 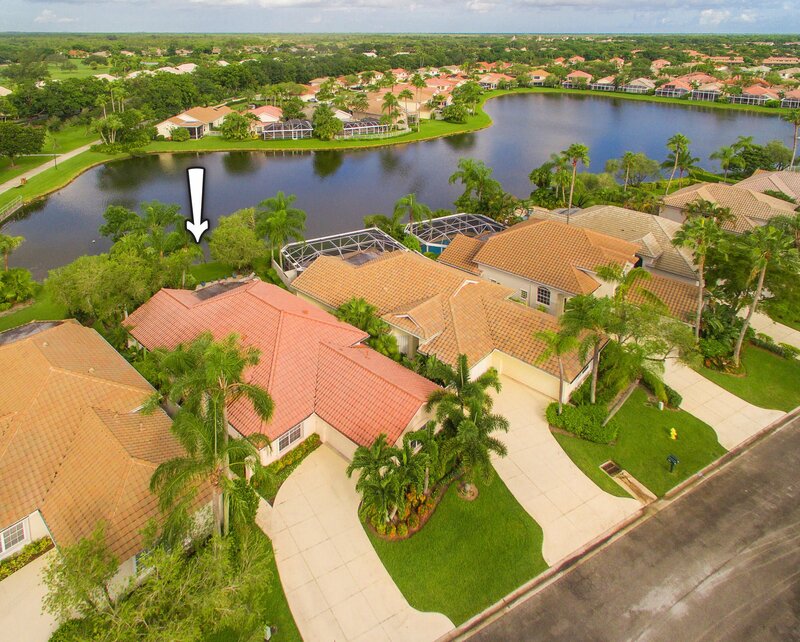 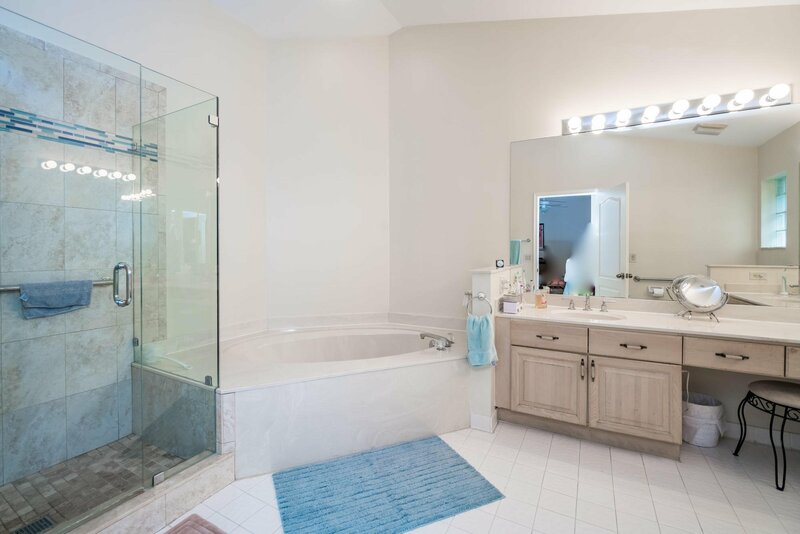 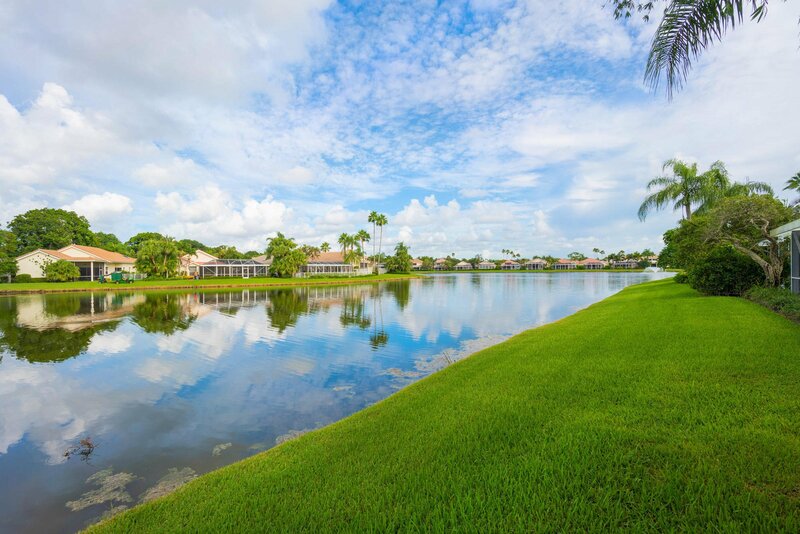 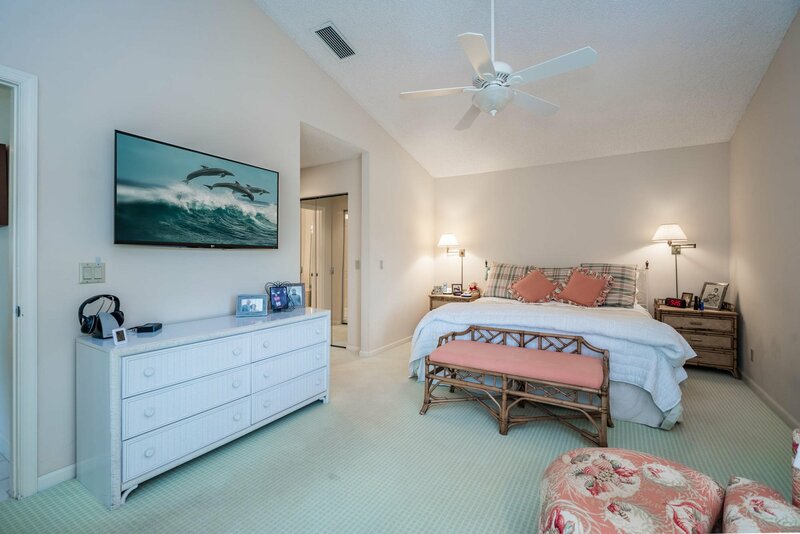 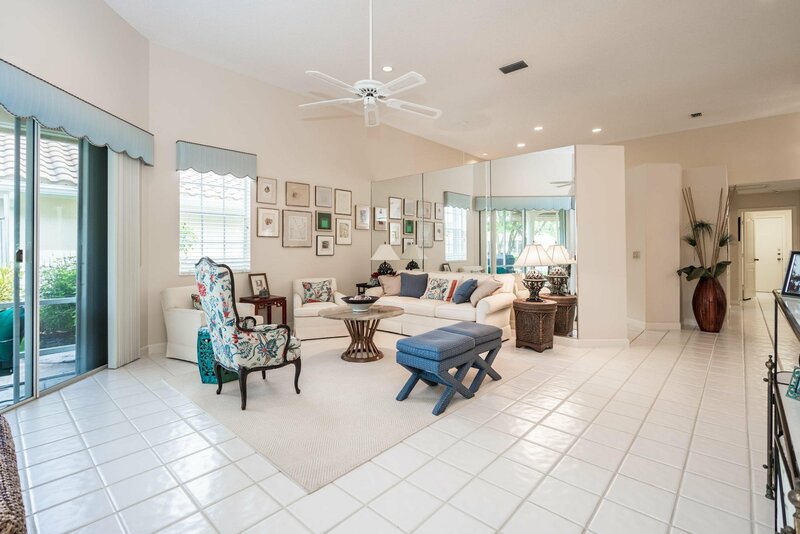 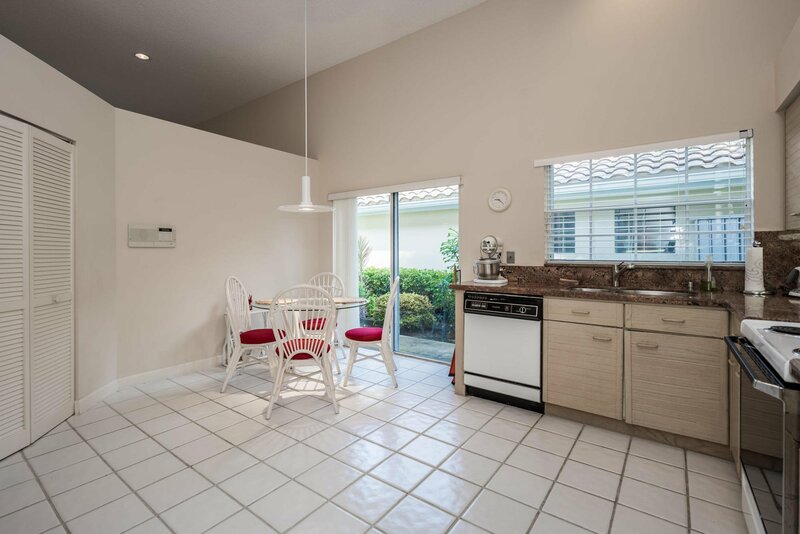 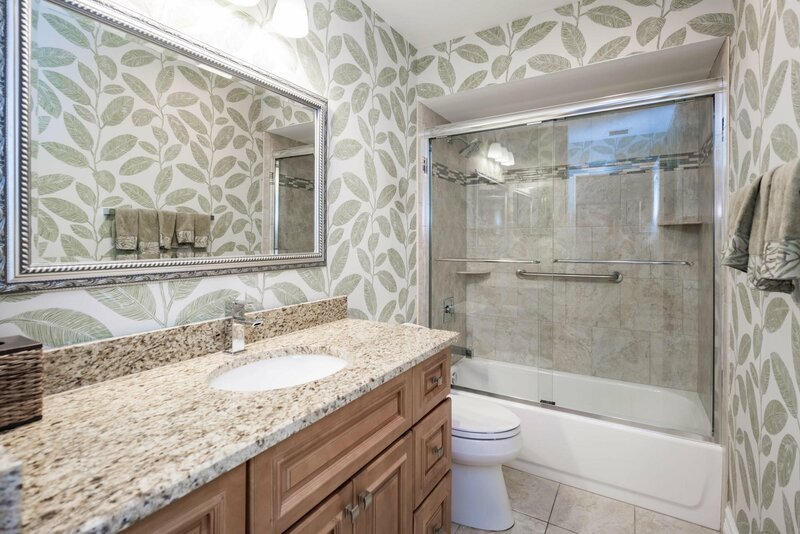 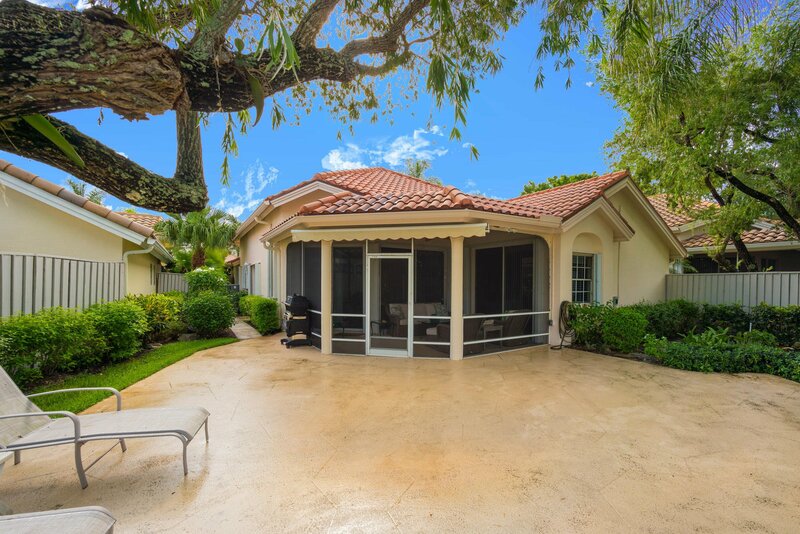 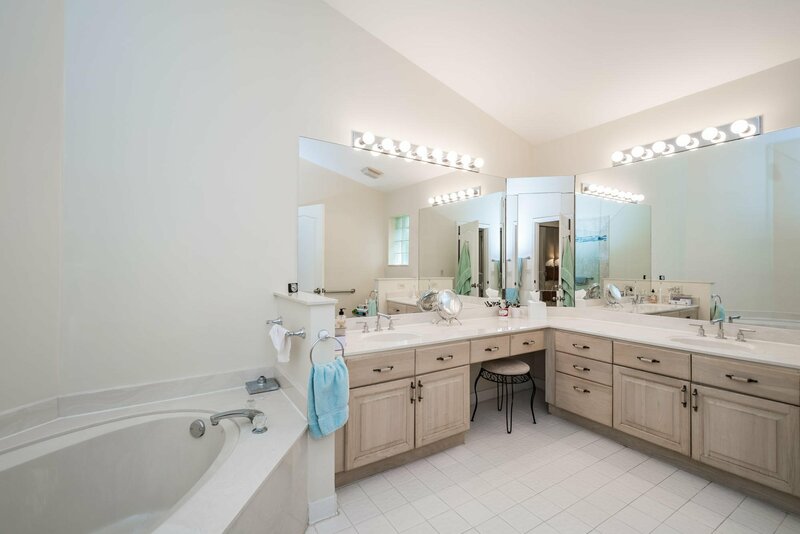 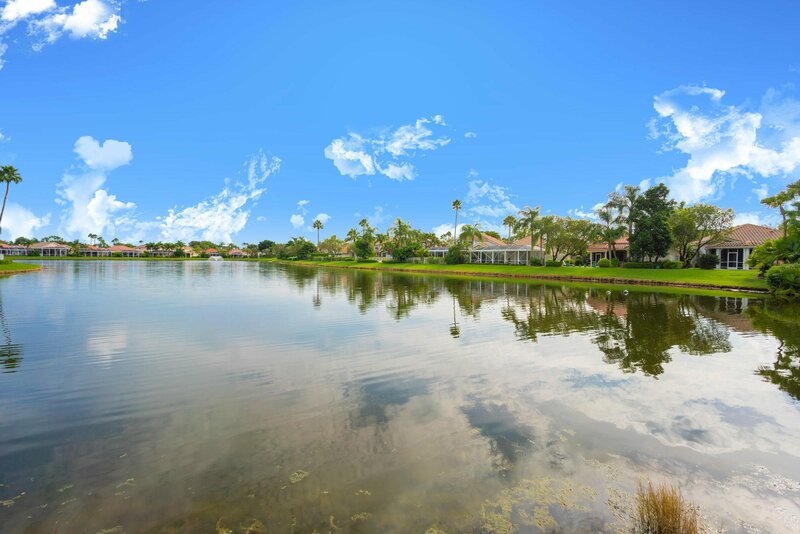 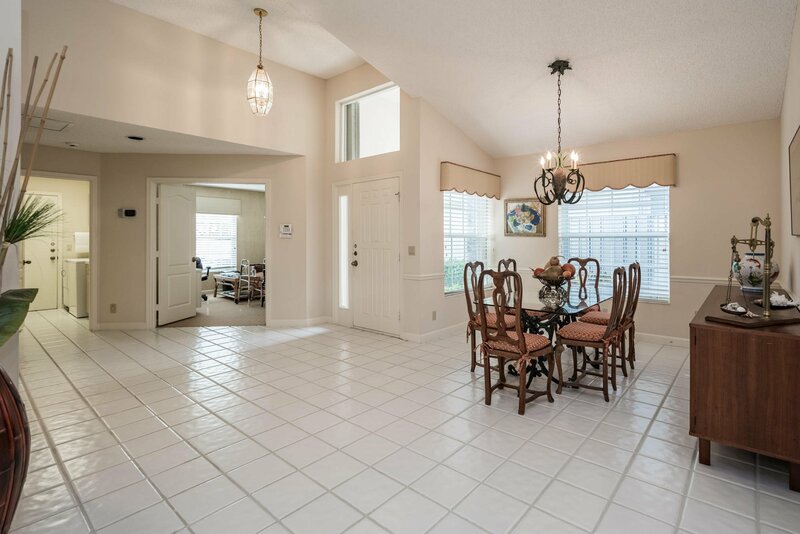 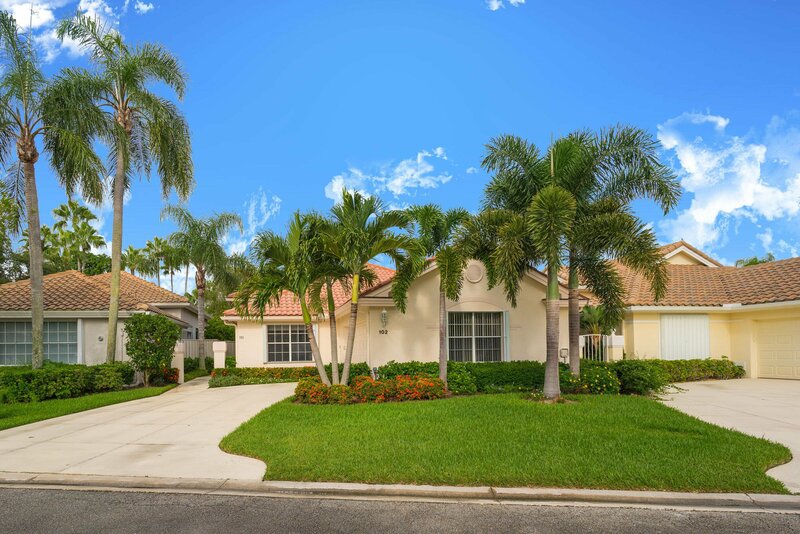 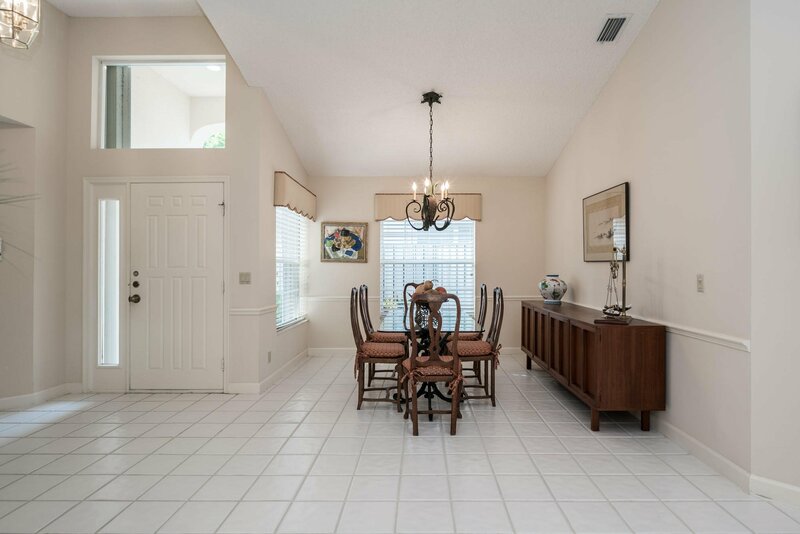 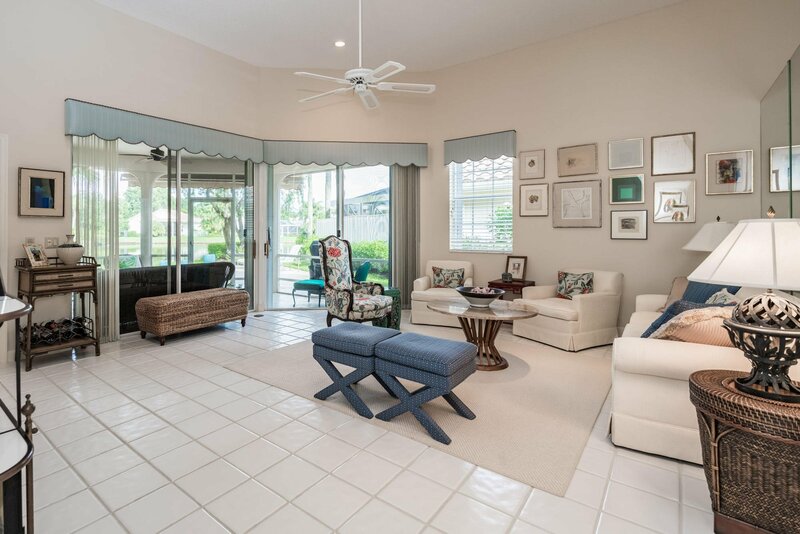 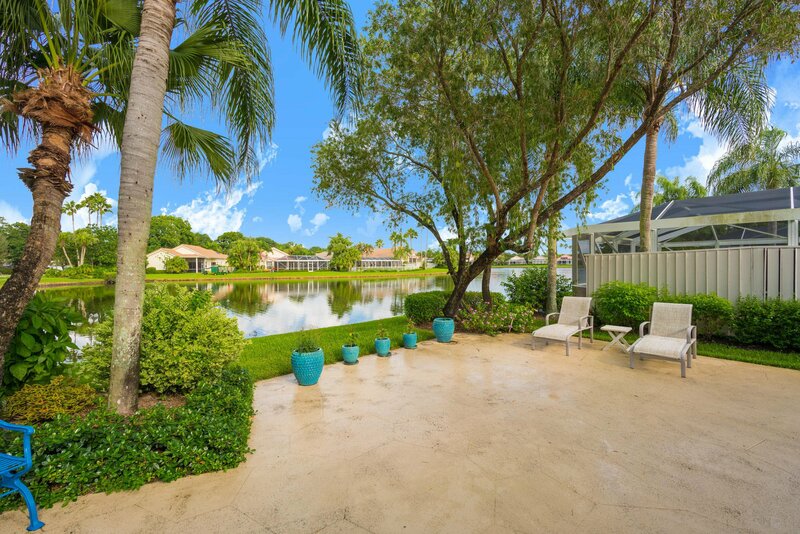 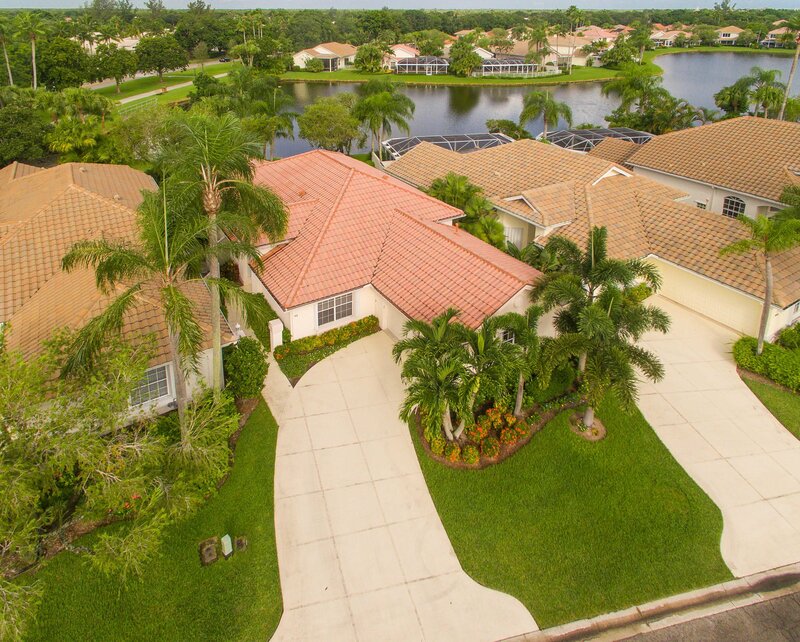 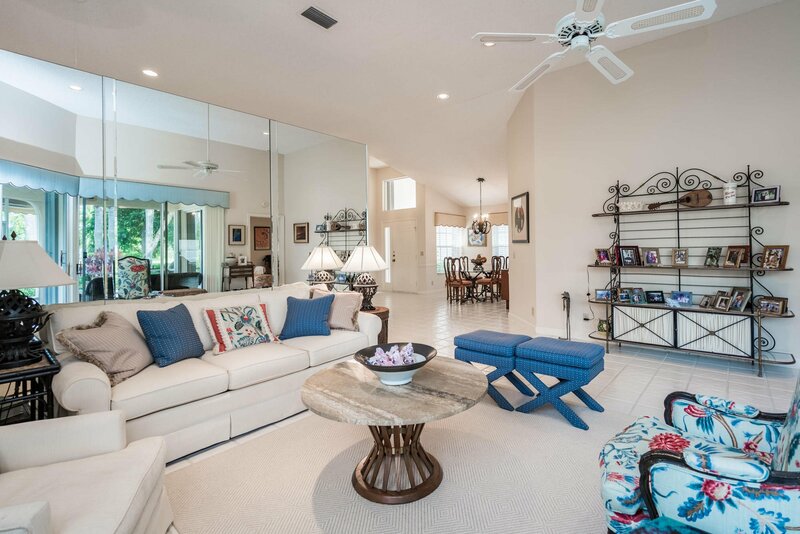 Long lake views that capture the gorgeous evening sunsets surround this bright & spacious, single story, 3BR/2BA open-plan home, located on a private cul-de-sac in the highly sought-after community of Eagleton in PGA National. 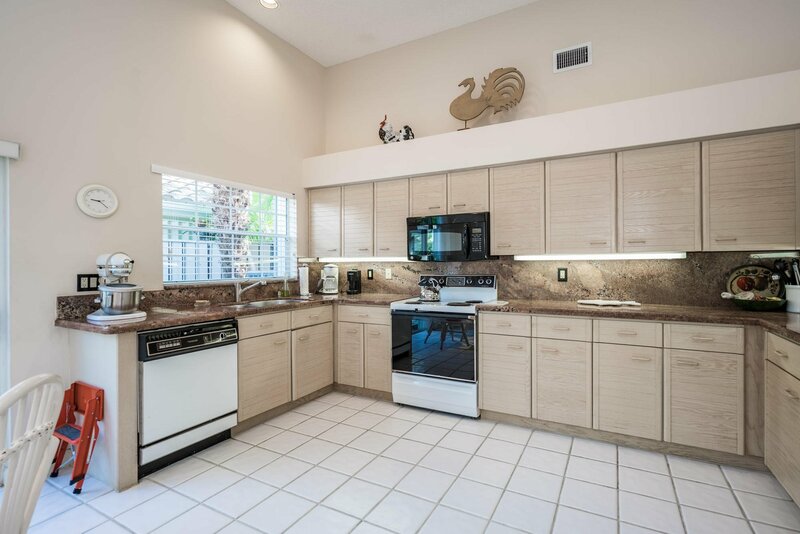 This home has many desirable features such as soaring 12ft ceilings, tiled flooring, large windows and sliding glass doors, all-new landscaping in the front and back, an updated eat-in kitchen with granite countertops and sliding glass door access to a side patio, and a large master suite with His & Hers walk-in closets, and a huge master bath. 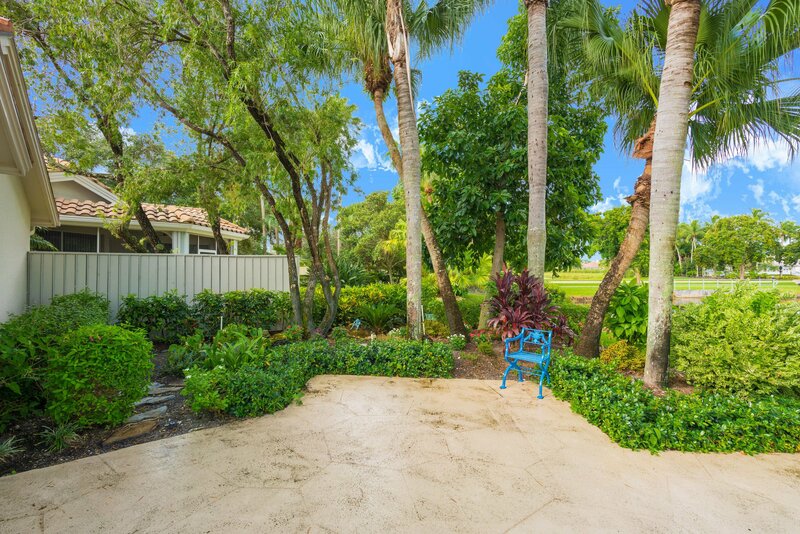 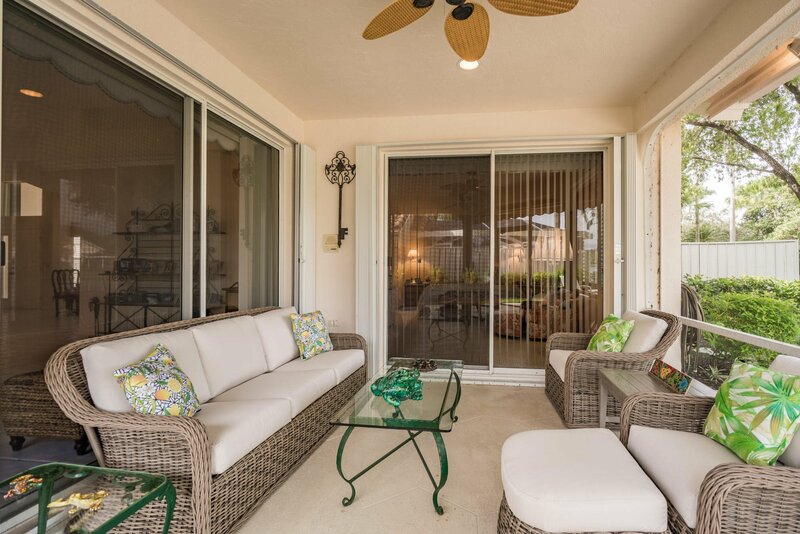 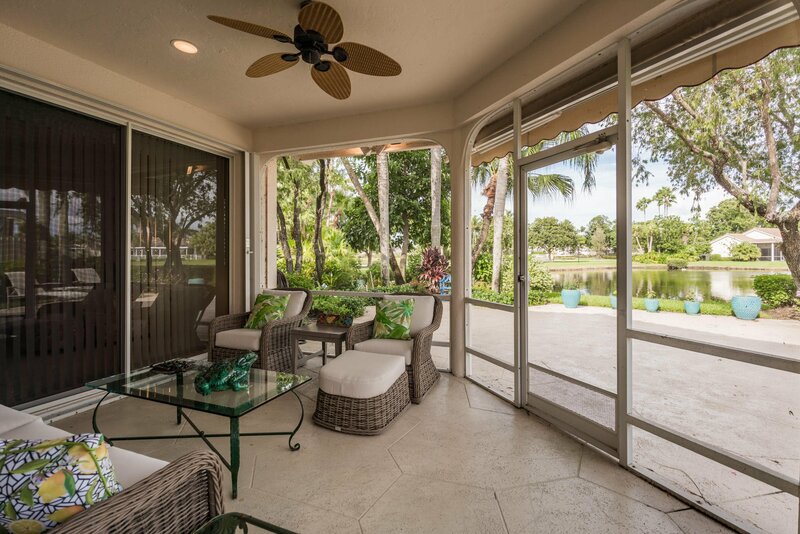 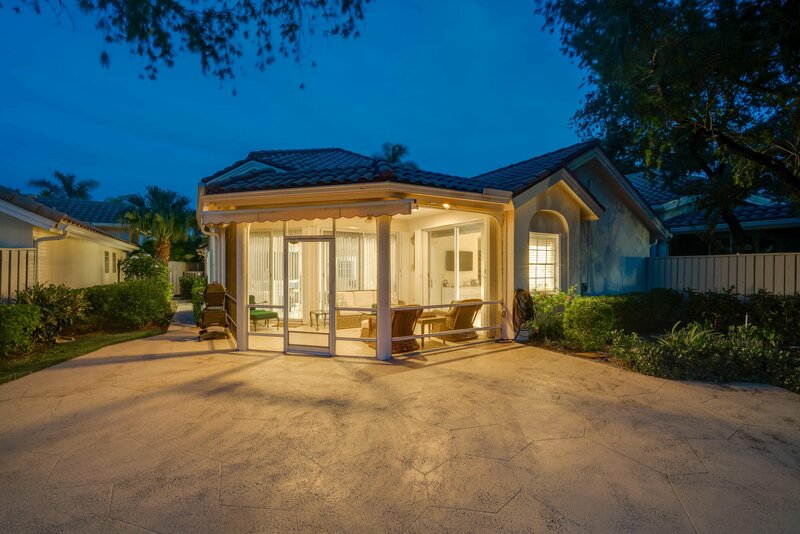 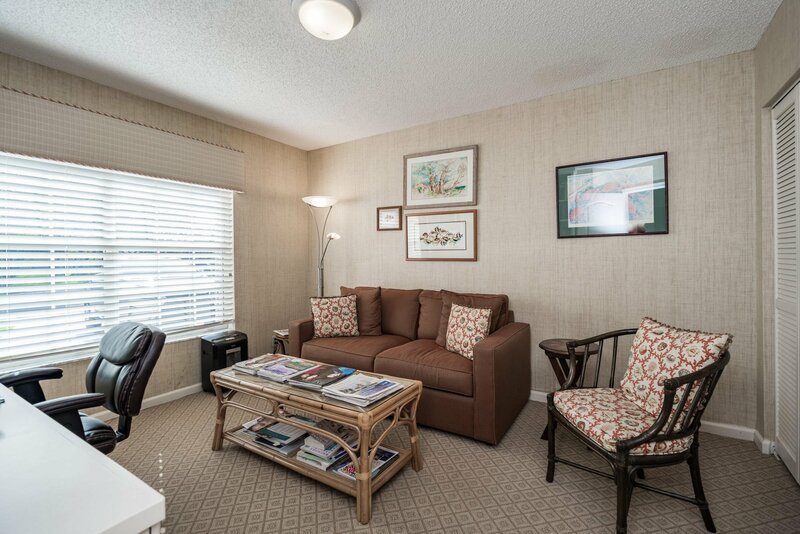 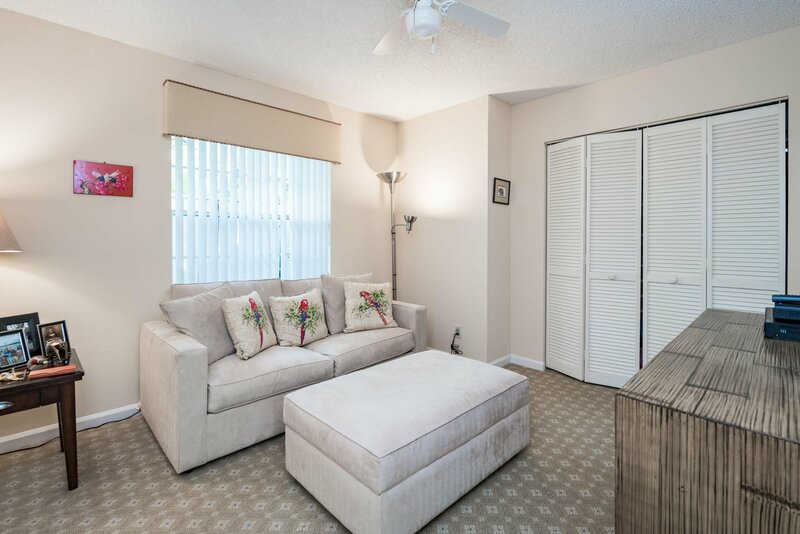 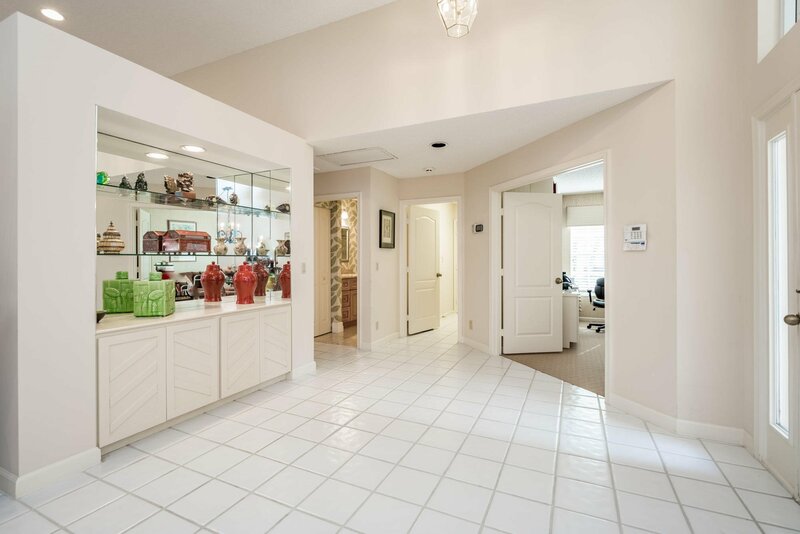 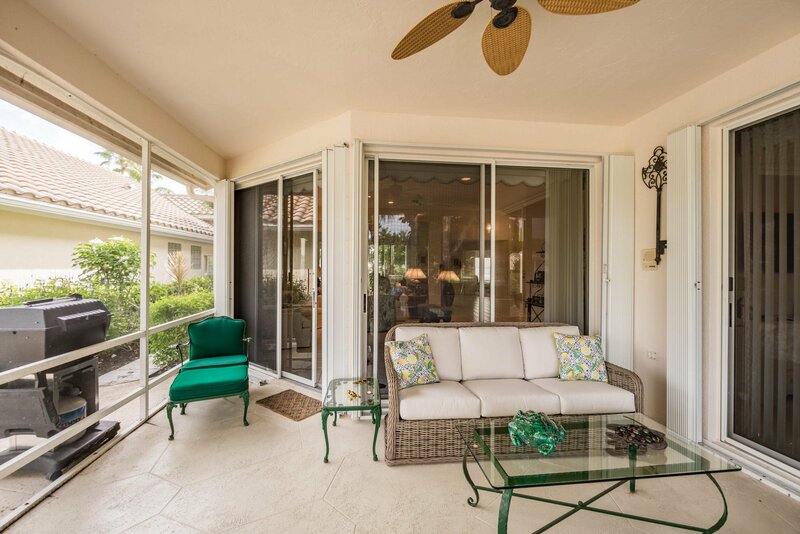 The expansive patio has a screened-in covered sitting area and plenty of room for grilling and entertaining. 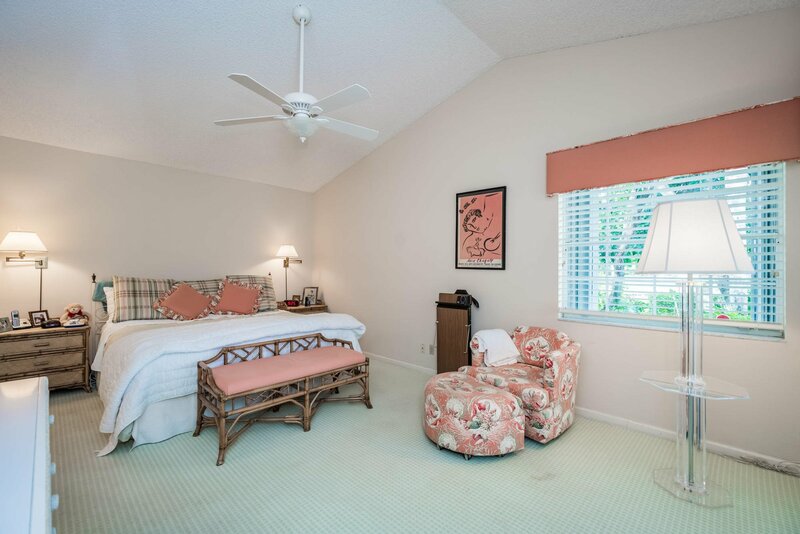 Newer roof and AC.